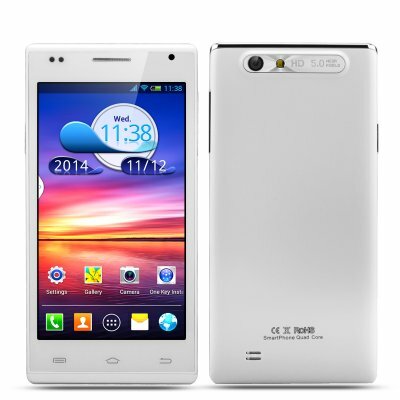 Successfully Added 4.5 Inch Android 4.2 Smartphone 'Tutuila' - 960x540 IPS Display, 1.3 GHz Dual Core CPU, 5 Megapixel Rear Camera (White) to your Shopping Cart. 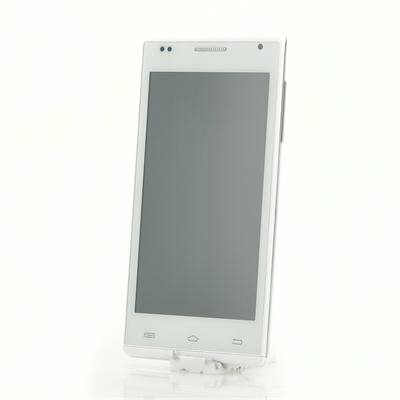 The 'Tutuila' is a greatly priced 4.5 inch smartphone that does exactly what it says on the tin. The dual core 1.3GHz MediaTek CPU is capable of multitasking and with 512MB of RAM this phone should run apps smoothly even when multitasking. With a 4.5 inch display that features IPS and 960x540 resolutions you get great visual quality for the price so colors will appear vibrant and the screen can be viewed from wide angles without being washed out. Android 4.2 is the operating platform of choice for this device and allows a variety of customizations to be made while maintaining good management of the system resources to maximize efficiency. With 4GB of onboard memory and a micro SD card for adding up to 32GB of additional storage you will have plenty of room for apps, games and media. The 1800mAh battery provides juice for up to 4 hours of usage or around 100 hours in standby while the front and rear cameras allow you to snap selifies and enjoy taking shots of your friends with images up to 5MP in quality so you won’t miss out on capturing those special moments. If your looking for a wallet friendly budget phone that can still deliver ample performance for everyday use then the 'Tutuila' is a great choice for you.